The War finally comes to an end in this fourth novel of the Street at War series. The characters are truly fed up with the rationing, the new bombs that annihilate without warning, and the separations from their loved ones. But how will the families fit back together when the boys come home? The unfortunate thing about reading these books back-to-back, and not as they came out (which was once a year or so) is that there is a lot of rehashing of storyline in order to refresh the reader's memory which, if you've only just read that storyline three days previously, gets boring in a hurry. In some cases, certain plot points are rehashed within this same novel, as if we've forgotten what had happened fifty pages ago. Most frustrating. 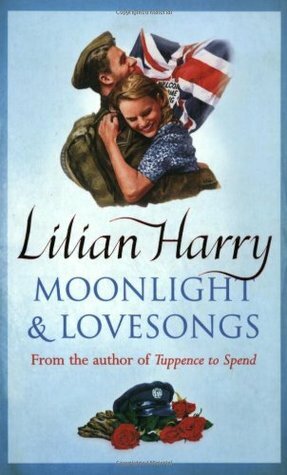 Lilian Harry kills off characters I loved (and finally, one I hated) and leaves several loose ends, which makes me wish that she'd write a post-war novel for these particular characters and let us know how they're doing. Nice end to the April Grove / WW2 series.I got really caught up in some of the characters lives although Olives story was just getting very repetitive towards the last quarter of the book just herself and Ray declaring there love for each other every time we got to them in the book and we still didn't find out what happened between her and Derek.It was a shame to see that a lot of the main characters didn't survive the war.A great series and would defo read it all over again. Wonderful reminder of the trip to London where I purchased the book. Lilian Harry - aka Donna Baker, Nicola WestDonna Thomson was born in Gosport, near Portsmouth Harbour, England, UK. Growing up during the terrifying years of the Blitz in a two-up, two-down terraced house, the youngest of four, she aspired to be a writer from an early age.As a young woman she worked in the Civil Service and moved to Devon to be near her sailor husband. They had a son and a daughter. When the marriage ended, she and her two children moved to the Midlands, where she happily married again to her second husband. After living in the Lake District for twelve years, she finally moved back to Devon, and now lives in a village on the edge of Dartmoor. She lost her son Philip in 2008, and has two grandchildren. A keen walker and animal-lover, she now has a dog and three ginger cats to keep her busy, along with a wide range of hobbies she enjoys.She started signing her romance novels as Donna Baker and Nicola West, now she also writes as Lilian Harry (inspired by the first names of her grandparents). Among her works are historical novels, romances and even two books giving advice on how to write short stories and novels.